Noise, in digital images, is the random variation of pixel values across an image. Unless noise is being used specifically as part of the aesthetic of a photograph it should be kept to minimum. The ISO setting on a digital camera can be chosen to give the photographer the flexibility to choose their optimum shutter speed and aperture for any particular image. However each camera system will have one nominal ISO setting (usually the lowest ISO setting in the system). If a higher ISO setting is used the system will receive a reduced signal and will need to adjust the output to produce an acceptable image. This will mean amplifying the signal and therefore amplifying the noise within the image. 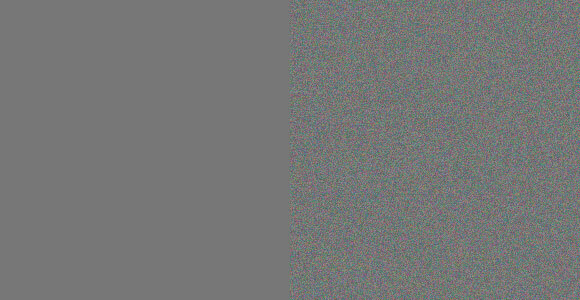 The image below demonstrates the difference between a digital image with minimal noise (left) and the same one with far more noise (right).